MacLaren Art Centre TV Bingo is a LIVE hour of fun and excitement, brought to you exclusively by Rogers TV. Every Tuesday at 8:00 pm, host Stu Andrews calls the action with 5 chances to win great cash prizes. The final game of the night has a grand prize jackpot of $1,200 EVERY week. All proceeds go directly to the MacLaren Art Centre’s VanGo programme, which offers unique opportunities for Simcoe County students to work with professional artists in the classroom! 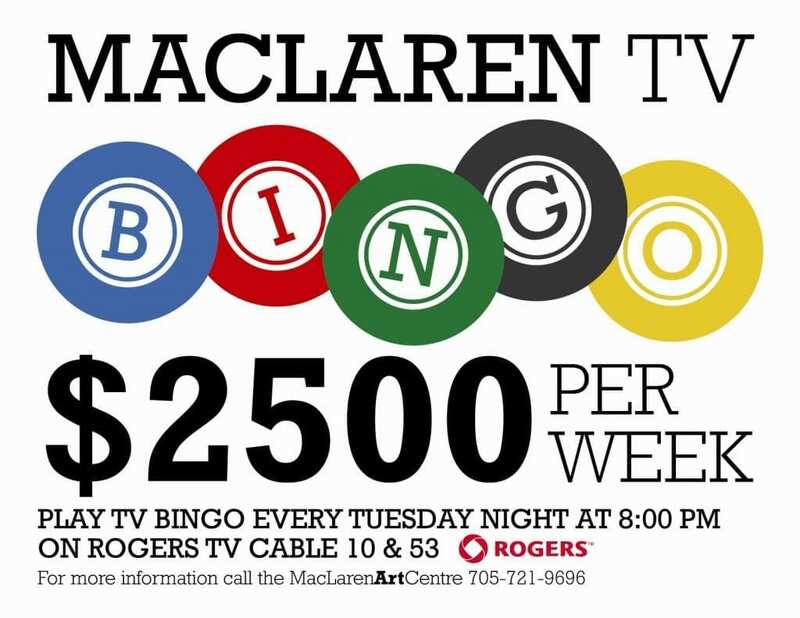 Tune in each week to win cash prizes with Rogers TV’s coverage of MacLaren Art Centre TV Bingo.